I can only describe this as a botanical ballet. 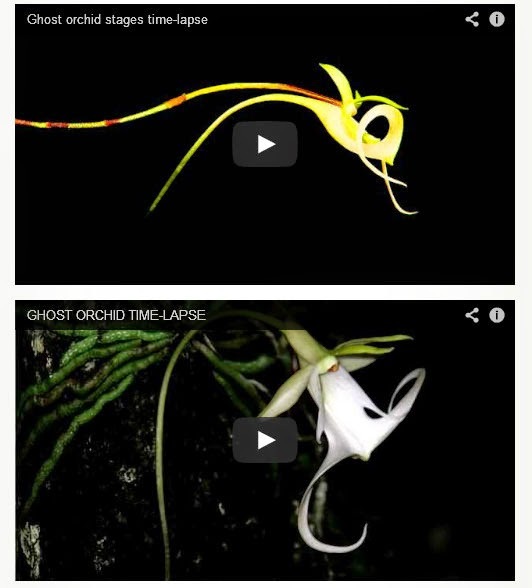 If you have a soft spot for the more esoteric orchid, spend a happy moment or two viewing these magical time-lapse mini-movies of the Ghost Orchid as a bud flowers. Who needs the Nutcracker? This is a magical dance of a phantom.